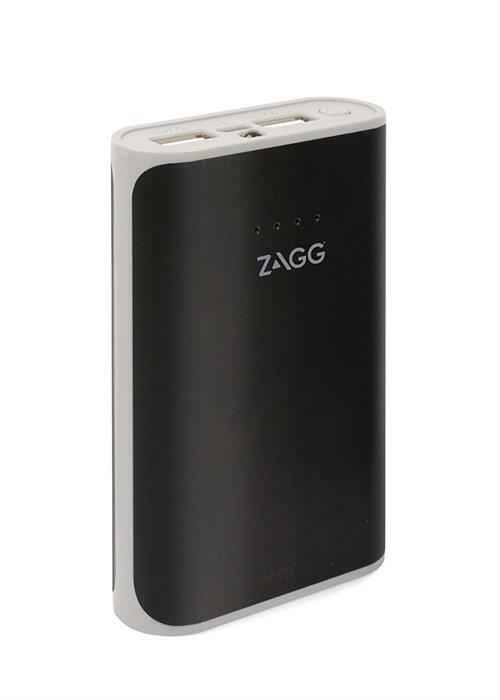 Zagg Ignition 6 Power Bank 6000 MAh Capacity with Flash Light - Output voltage 5v, Dual USB outputs (5V/2.1A and 5V/1A), Built-in flash light - Black, Retail Box , 1 year Limited Warranty. 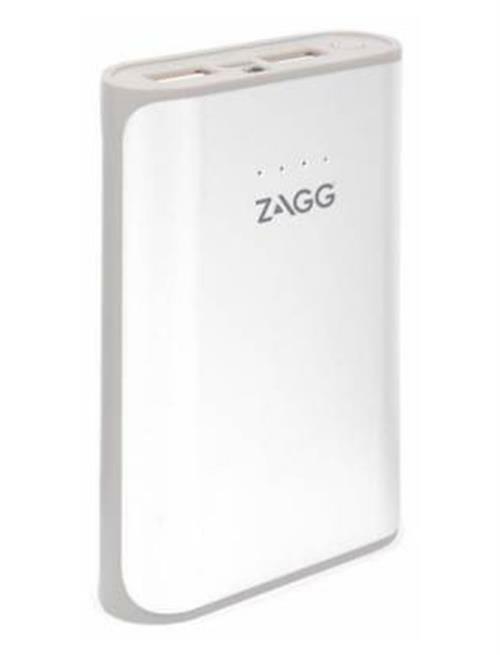 The Zagg Ignition 6 Power Bank 6000 MAh Capacity with Flash Light features 6,000mAh of power, the Ignition 6 can offer a minimum of 2x full charges for most smartphones. It has a simple power button helps to preserve the available charge. It is small and compact enough to fit in any bag, so you will never be caught empty again. An LED indicator will show you exactly how much power the ignition 6 has left. The built-in LED torch lights the way when you need some extra light. Featuring a dual USB output ,the ignition 6 works with virtually any smartphone. 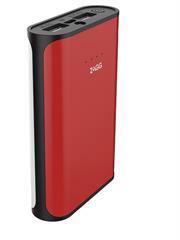 • 6,000mAh of power, the Ignition 6 offers a minimum of 2 full charges for most smartphones. • A simple power button helps preserve the available charge. • It is small and compact enough to fit in any bag, so you will never be caught empty again. • LED indicator will show you exactly how much power the Ignition 6 has left. • The built-in LED torch lights the way when you need some extra light. • Featuring a dual USB output (5V/2.1A and 5V/1A), the Ignition 6 works with virtually any smartphone. 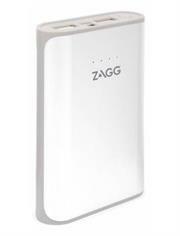 Zagg Ignition 6 Power Bank 6000 MAh Capacity with Flash Light - Output voltage 5v, Dual USB outputs (5V/2.1A and 5V/1A), Built-in flash light - White, Retail Box , 1 year Limited Warranty. 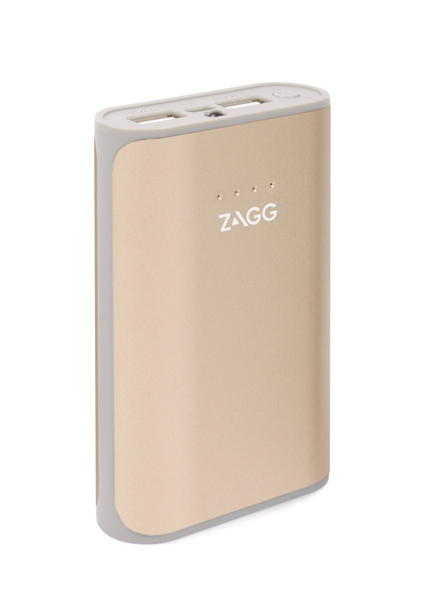 Zagg Ignition 6 Power Bank 6000 MAh Capacity with Flash Light - Output voltage 5v, Dual USB outputs (5V/2.1A and 5V/1A), Built-in flash light - Gold, Retail Box , 1 year Limited Warranty. 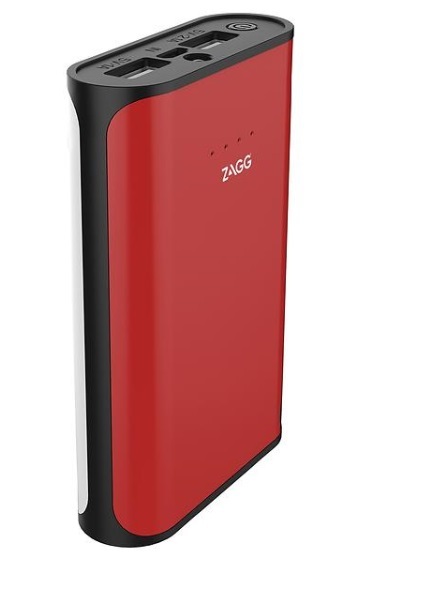 Zagg Ignition 6 Power Bank 6000 MAh Capacity with Flash Light - Output voltage 5v, Dual USB outputs (5V/2.1A and 5V/1A), Built-in flash light - Red, Retail Box , 1 year Limited Warranty. 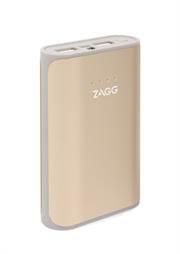 •6,000mAh of power, the Ignition 6 offers a minimum of 2 full charges for most smartphones. •A simple power button helps preserve the available charge. •It is small and compact enough to fit in any bag, so you will never be caught empty again. •LED indicator will show you exactly how much power the Ignition 6 has left. •The built-in LED torch lights the way when you need some extra light. •Featuring a dual USB output (5V/2.1A and 5V/1A), the Ignition 6 works with virtually any smartphone.